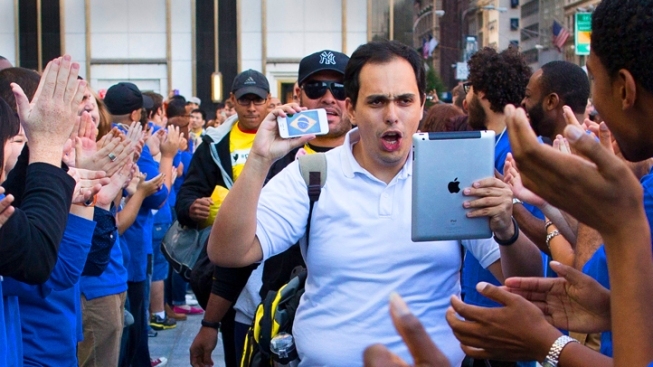 A consumer captures the celebration on his Apple products as he enters the Apple store for the release of the iPhone 5. In a now familiar global ritual, Apple fans jammed shops from Paris to New York pick up the tech juggernaut's latest iPhone. Hundreds of eager buyers formed long lines Friday at Apple's flagship store on Fifth Avenue to be the first to get their hands on the latest version of the smartphone. Some shoppers have been camped out for a week in a queue that snaked around blocks at the city's six Apple stores. Many diehard fans said they preferred to stand in the lines rather than wait weeks to get their new phones in the mail. Others wanted to take part in what's become an annual ritual. "It's not about just the phone. 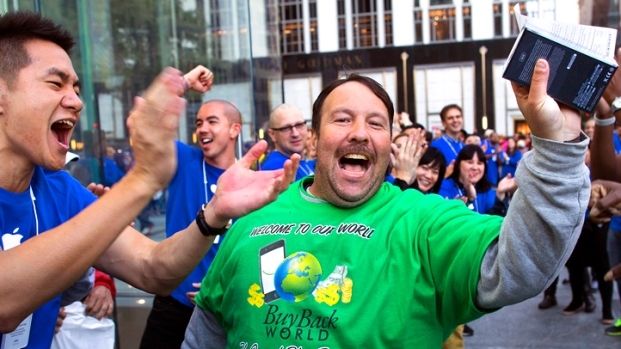 It's about participating in an Apple tradition, the Apple tradition of camping out," said one woman who had camped outside the Apple store on Fifth Avenue for eight days. The smartphone went on sale Friday in the U.S. and Canada hours after its launch in Australia, Japan, Hong Kong, Singapore, Britain, France and Germany. It will launch in 22 more countries next week. The handset has become a hot seller despite initial lukewarm reviews and new map software that is prone to glitches. 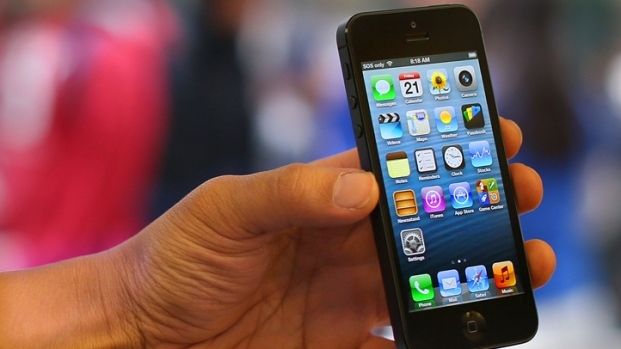 Apple received 2 million orders in the first 24 hours after announcing its release date, more than twice the number for the iPhone 4S in the same period when that phone launched a year ago. If you are planning to upgrade to the new iPhone 5 we will help you get the most for your old phone by comparing sites offering cash for your old gadgets. In New York, the NYPD is rolling out its own campaign to help victims recover their lost or stolen phones or other electronic devices. Officers will be stationed at 21 stores throughout the city Friday, including six Apple, as well as seven Verizon and eight AT&T stores as part of Operation ID. The program is free to the public. Officers will register the serial number of the electronic device along with the owner's name and contact information. Items can also be engraved with a unique serial number. New iPhone owners will also be instructed in how to install and activate "Find My iPhone" technology that is helpful in recovering lost or stolen iPhones.